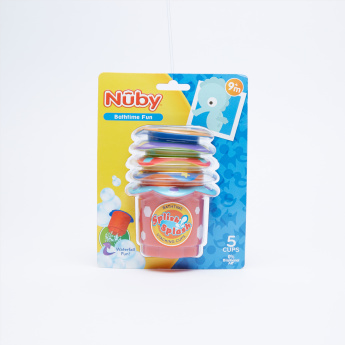 Nuby Bathtime Stacking Cup - Set of 5 | Multicolour | Lets your little one enjoy bath time with learning of coordination and development. 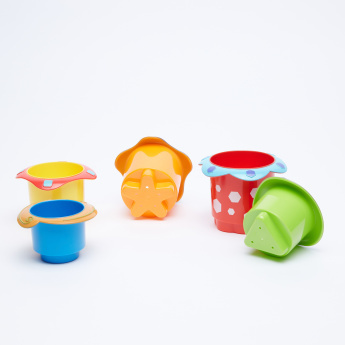 Let your little one enjoy bath time while learning coordination and development with this alluring stacking cup toy set. Safe for your little one, these cups are truly a must-have. Feature 2 : Make bath time to fun time with these stacking cups and enjoy the fun of water drain. 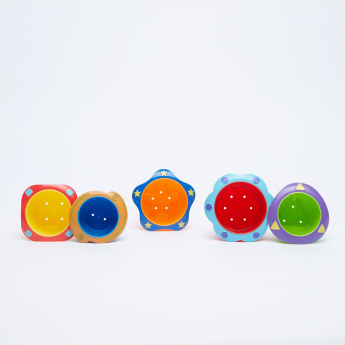 Feature 1 : Lets your little one enjoy bath time with learning of coordination and development.